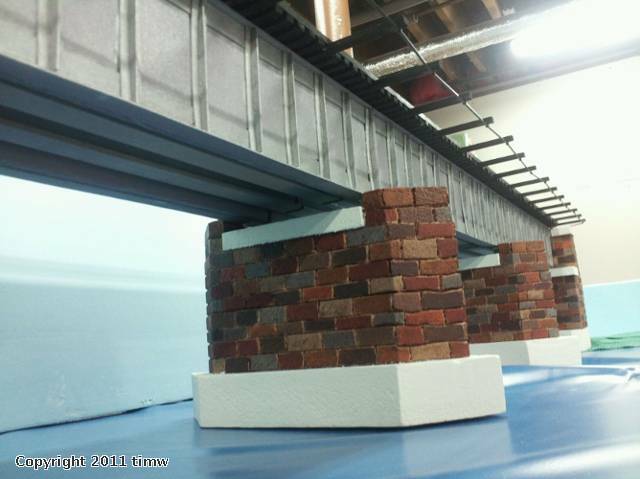 The bridge and piers are made from EPS foam that I fashioned and hand carved. The deck is stripwood, cut to size, as well as the walkways and railing. It is 52" in length, and the deck is designed for Atlas O rigid straight track, which fits nicely and recessed into it, but other types of track will fit atop the deck. 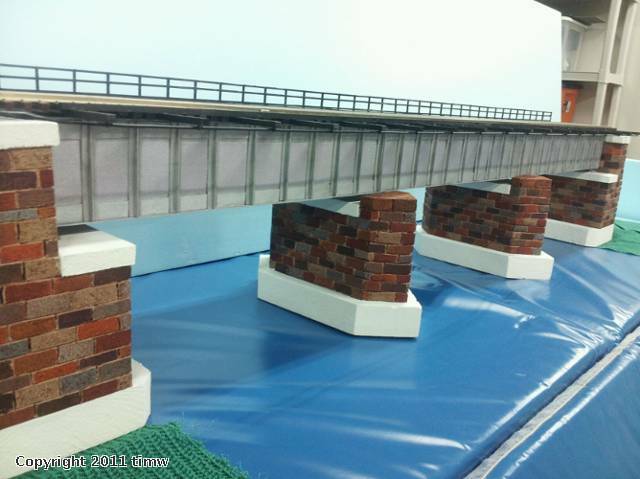 The bridge is incredibly strong, and painted with a silver acrylic paint. 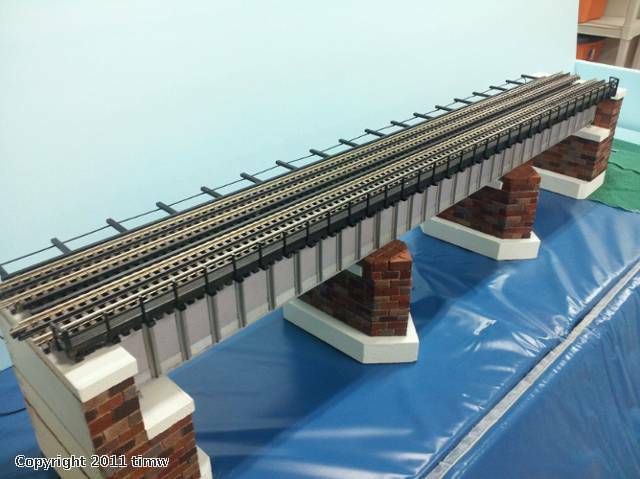 This actual bridge has now been sold, but various others can be purchased directly from me or built custom to fit your layout, including another one of these. If interested, contact me by email at ilovebridges.tw@gmail.com.